Singapore first, with other global markets to follow later. Geely is now set to test international waters with an all-new compact BEV model code-named GE11. 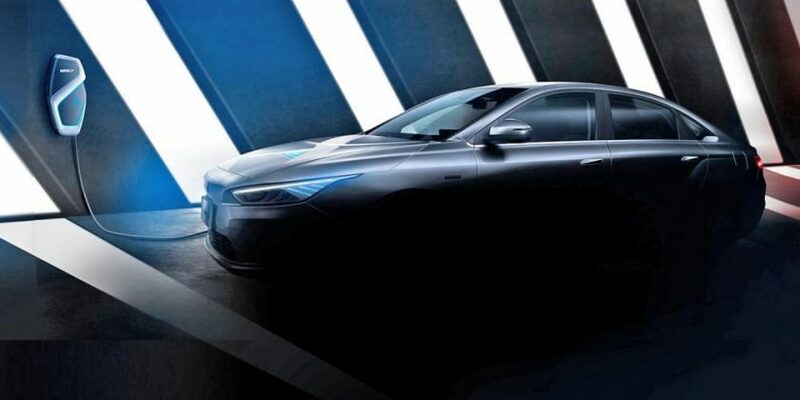 Recently, the automaker announced the name of the GE11—“Jihe A”, meaning “Geometry A” in Chinese. From the official photos exposed before, we can see that the “Jihe A” adopts a “closed-off” front face, which features a new logo officially named “quantum silver shield”. The lack of a grille suggests that the GE11 is a pure electric vehicle that has no internal combustion engine under the hood. As to the side profile, smarter aerodynamics is characterized by sharp body lines and “hidden” door handles that helps reduce the air resistance—drag coefficient for the car is 0.2375Cd. Featuring a fastback design, the rear end adopts flat taillights that are connected by a chrome trim. Besides, there are two charging ports at the right-front wheel eyebrow and the left-rear wheel eyebrow respectively. With a minimalism design, the interior largely covered by gray materials. The dual-spoke flat bottom accentuates a sense of sports. In addition, many key presses are integrated in the auxiliary instrument panel and the center console that carries a large-sized touch screen. Under the 12.3-inch high-definition LCD is a 1.6-meter ambiance light bar that is available for 7 colors. The new vehicle is able to run at a top speed of 150km/h powered by a 177hp (130kW) electric motor and a lithium-ion power battery pack offered by CATL. It will provide users with two range options—410km and 500km.